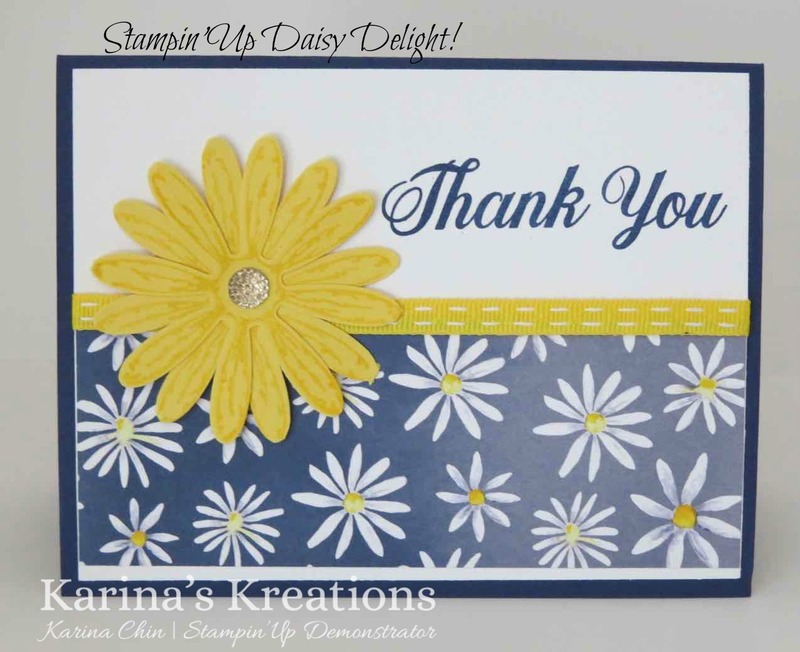 Karina's Kreations: Stampin'Up Daisy Delight! Stamp Set of the Month and Card Kit in the Mail! I am holding my annual catty kickoff/ buy one get one free party today and this is one of the make and takes. 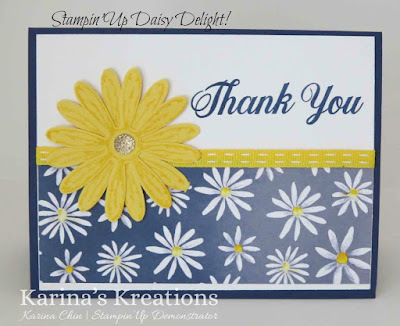 This card uses my favourite stamp set Daisy Delight. In fact the whole product suite is gorgeous!!! All these products come to $70.50 plus shipping and Gst. Place an online order with me Friday-Sunday adn I'll send you two hand stamped cards and the instructions in the mail for my upcoming Sharing Sweet Thoughts card class. Click this link to start shopping! I also offer stamping rewards for online orders. If you live in Edmonton, Alberta come see me today June 2 9:00-9:00 at 490 Butchart Drive. Karina Chin, Independent Canadian Stampin' Up! Demonstrator, I am responsible for its content. Stampin' Up! does not endorse the use of or contents of the classes, services, or non-Stampin' Up! products I may offer here. Images © Stampin’ Up!